Building a rich and diverse vocabulary is an essential component in language learning. It helps students verbalize and communicate their thoughts in lucid and expressive ways. Constructing a solid lexicon base requires a lot of practice and memorization but thankfully technology has made it easier to learn vocabulary in fun and engaging ways. Today’s post features some very good examples of apps students can use on their iPads to develop their vocabulary. Besides mastering vocabulary words and phrases, the apps also provide practice in pronunciation, spelling and orthography through a variety of interactive games, lessons, tests and many other learning activities. 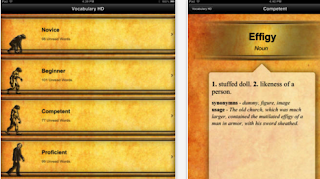 Vocab Genius is an excellent app for learning vocabulary through flashcards. 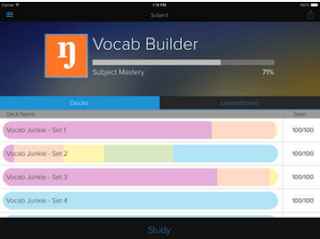 The app provides over 1300 dynamic flashcards covering words and word elements as prefixes, suffixes, and roots. Learners get to track their progress using statistics and visualization tools. This app helps students learn over 500 new words together with their pronunciation. Words are contextualized in examples making it easy for students to understand them. 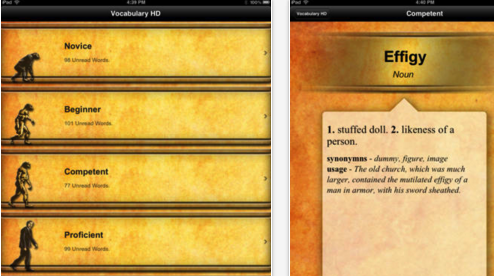 The app also provides synonyms, quizzes, and a pronunciation tool. 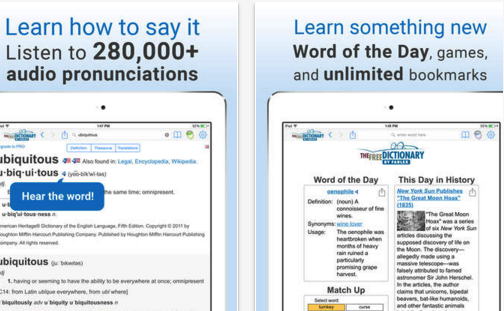 Dictionary is a powerful dictionary and thesaurus app that allows users to search for definitions of words from multiple trusted sources including: Webster's Dictionary, Roget's Thesaurus and The American Heritage Dictionary. 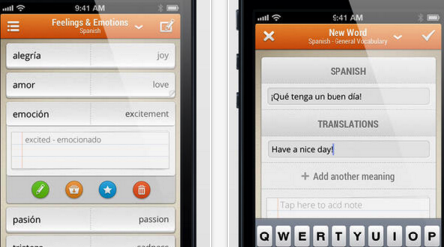 The great thing about this app is that it works offline and provides translations of English into over 40 languages. 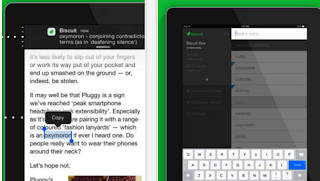 This is another wonderful dictionary app for language learners. It provides simple and easy to understand definitions of words. 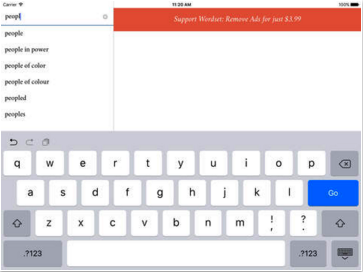 It also supports spell checking, fast searching and synonyms. The app also works offline.